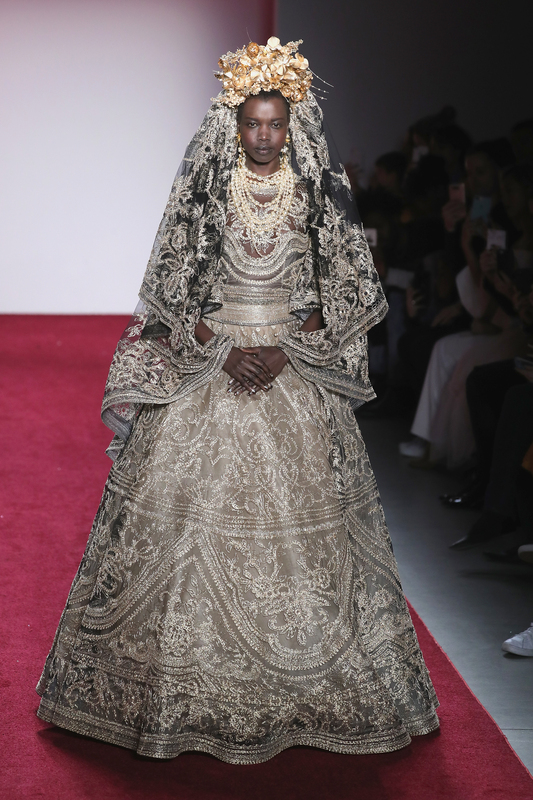 Naeem Khan's Fall 2017 show at New York Fashion Week was straight out of a fairytale -- a modern, trendy fairytale to be exact. The designer's ready-to-wear collection was basically everything in our dream closet. Sequined pantsuits, leopard silk pants, bralettes, floral overcoats...Khan did it all. In a swift blend of different textures, patterns and layers, he brought these magnificent to life. For Khan, he owes this collection to the women in his life and his experiences. "It's a collection in the spirit of women I have met and the life I have traveled," the talented creator said. It was a mix of inspiration from "Poland, from India, from the Middle East. It was about diversification, because what makes this world a beautiful place is diversification," he explained. The models showcased his designs, which were a "blend of art and technique". Daywear featured pantsuits, sophisticated tracksuit pants, dresses and coats, perfectly fitting for the modern, on-the-go women. His tasteful presentation of evening wear seemed straight off the red carpet. In a creative array of fringe, color blocking, feathers, Khan's lively designs stood out. 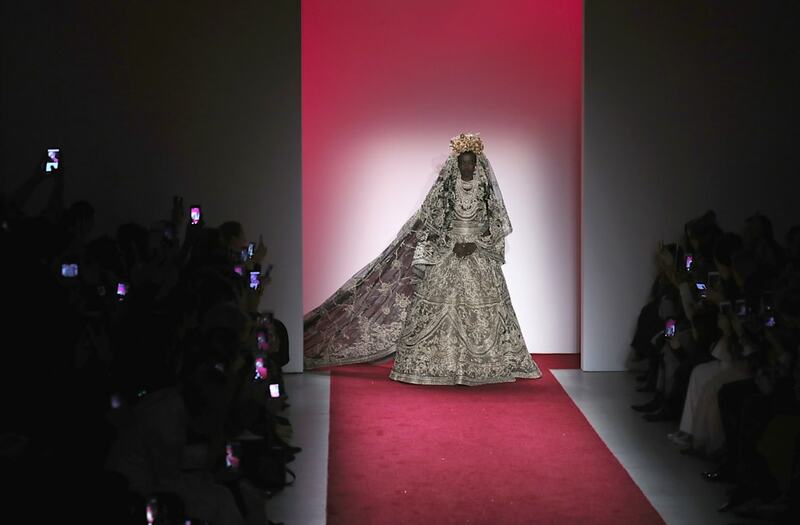 One model's gorgeous gown resembled a butterfly, another a leopard. All were adorned with dangling, textured earrings and tangles of pearls. However, Khan's final look was so special, it shook the entire room. Before Khan took his final bow, a gorgeous model took the catwalk, alone, in gold headdress and gold gown. She walked slowly and gracefully as Maya Angelou's poem "Human Family" bounced off the walls. "We are more alike, my friends, than we are unalike," the poem concluded. Khan's beautiful message was clear.